Fire Monitoring of Canada 2016 Sustainability Update! Fire Monitoring of Canada joined the Niagara Sustainability Initiative in 2014, with the goal of reducing our carbon footprint and becoming a more responsible and sustainable organization. We’ve made some small steps in this regard, some of which can be viewed in our previous Update here. In the past year, we’ve done some more work that we’d like to share, and review how we’re doing on other fronts. 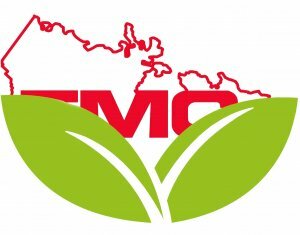 The use of energy is particularly difficult for FMC to manage, as we operate a unique environment, with employees on site 24 hours a day, 7 days a week, 365 days a year. As our Signals Receiving Centre needs to operate, so do all of the associated equipment, such as servers, computers, lights, printers, switching equipment, cameras, appliances and other items necessary to run an effective and self-sustaining operation. In 2015 FMC installed motion-sensor light switches in all public rooms, such as server rooms, copy rooms, bathrooms, demo rooms, etc. This eliminated lights being left on in these rooms for hours at a time with no one present. After a session with NSI in 2015, FMC properly adjusted our thermostats to be programmed to turn on and off in accordance with business hours. In 2015 FMC began a project of server consolidation and virtualization of all machines possible, while maintaining a secure operating environment. This resulted in fewer operating servers in our facility and in turn lower energy costs to run equipment and lower cooling costs for our server rooms. As part of the work done in the collaboration with Niagara Sustainabiltiy and Niagara College, FMC had a waste audit performed. The goal of the waste audit was to identify and quantify the amount of waste generated as a business; to the measure the effectiveness of our waste reduction strategies; and to find opportunities to further reduce our waste generation. 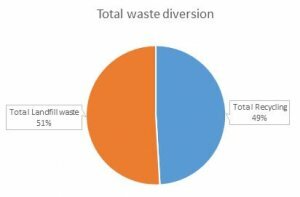 The waste audit found that in 2015, FMC generated approximately 580 kg of waste, of which 49% was recycled. This is done through our partnership with NSI and electronics recyclers, and the operator of our facility who provides easy access for recycling of cardboard and paper. We must work harder as a company to ensure the proper diversion of food waste to organics recycling. FMC saw an increase from 2014 as it relates to fuel consumption from our fleet of vehicles, though we are proud to say that we remain below our baseline reporting from 2013. I say that we are proud to do this, as we are a growing company and with any growing service company that means we need to add more vehicles to our fleet. Adding 4 vehicles in 2015 would naturally result in a however total volume of consumption, however when compared with “per capita” consumption from our baseline year, it is a definite improvement. Some of these improvements can be attributed to monitor idle times in our vehicles. Since we began tracking this, via GPS fleet tracking software, FMC’s idle times have decreased idle times and maintained them well below industry benchmarks. Overall, FMC remains 8% below our baseline emissions from when we joined the carbon project in 2014. We like to make this information public, as it hold us accountable to our goals of becoming a sustainable operation. Should you have any questions about our initiatives, please do not hesitate to contact us!